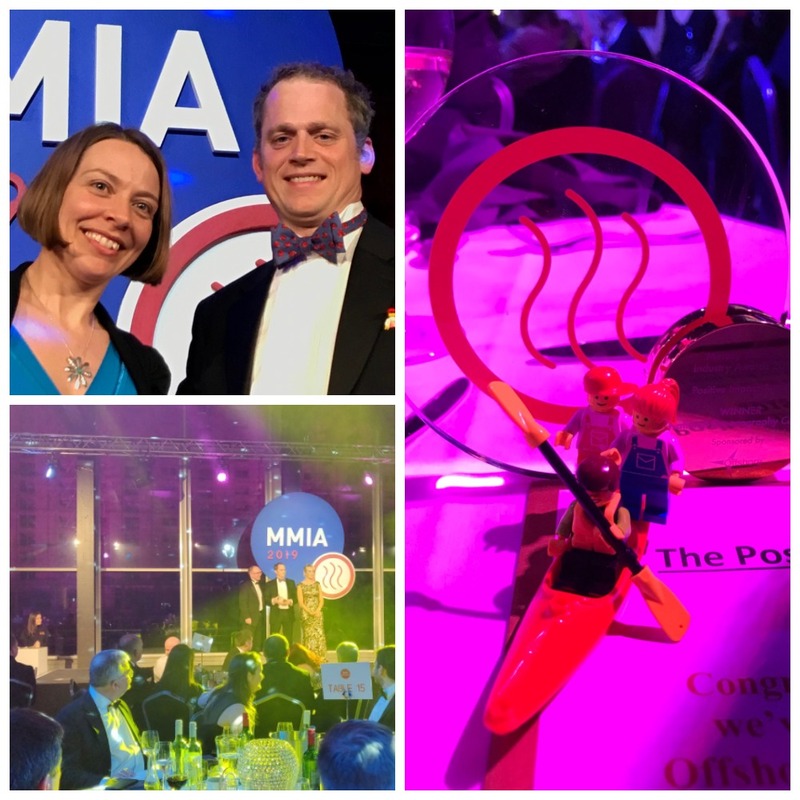 WireWall, led by the NOC’s Dr Jenny Brown, walked away with the ‘Positive Impact’ award, and the anyTide app, led by Dr Jeff Polton, was victorious in the ‘National Impact’ category. The awards were decided by an expert judging panel and a public vote. The ‘National Impact’ award for anyTide celebrates an organisation making a positive national impact in the maritime sector, whether it’s substantial growth, job creation, cutting edge innovation, thought leadership, or increasing exports. anyTide UK is a mobile app that provides detailed tidal height and current predictions around the North Western European Shelf, with particular focus on the British Isles. The app, developed by the NOC in partnership with Winchester Innovation, is available for both Android and iOS devices. The ‘Positive Impact’ award for WireWall was in recognition of a project whose remit or business model is to bring about positive measurable change, whether this is to the lives or living conditions of individuals, the community or in terms of campaigns, projects and initiatives that are changing perceptions about the industry. WireWall is an innovative and cost-effective system to help optimise sea defence design and early warning processes, reducing construction costs and ultimately protecting coastal communities. The project is being delivered as a partnership between the NOC and HR Wallingford. The NOC’s double win at the Mersey Maritime Industry Awards comes in the same week that saw WireWall featured in an article published in Nature, a leading international science journal. Follow the WireWall team on Twitter @WireWall_NOC for all the latest on the project. Follow the anyTide team on Twitter @anyTideNOC to find out more.